All Things Crafty: Flag is Finished - Almost - Happy 4th of July! I finished up picking out the backing to the flag wall hanging and quilted it using a quarter inch seam on each side on a change in color. It turned out great but, I have not placed the binding on yet. I'm still pondering that one. I did however received a great suggestion from a reader that maybe I should have added a white border on top and bottom and then cut it straight. Now, why didn't I think of that! Thanks Leslie! 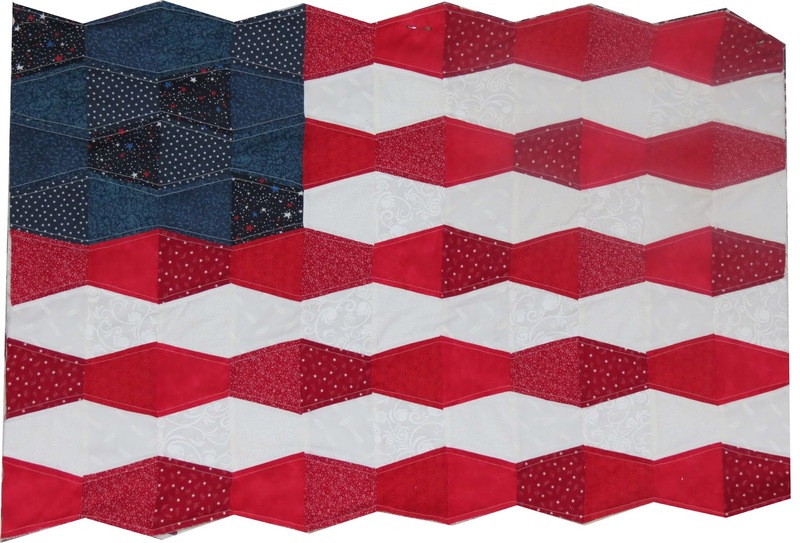 Now, I'm hanging the flag without adding the binding to contemplate adding the white strip on top and bottom using the Quilt as you Go format. 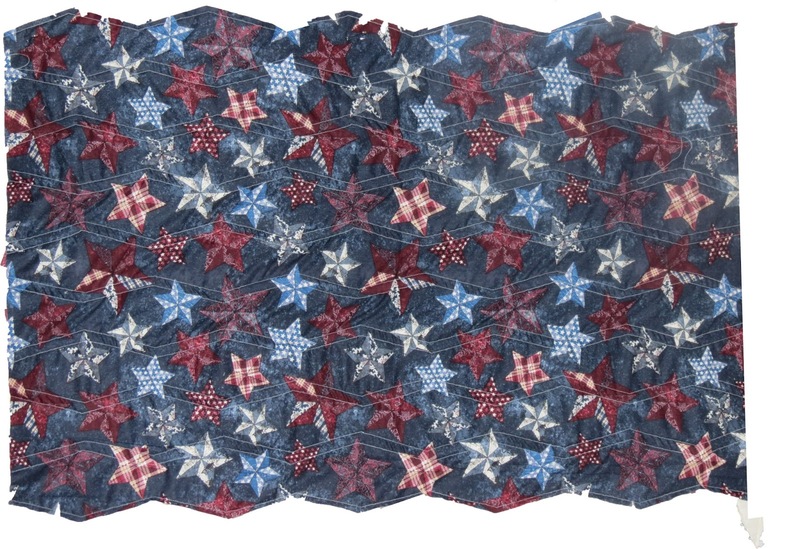 Here's the quilted front and back as they stand today! I like your little quilt. I wonder if it would be hard to match the little tumblers if you don't have the accu quilt cutter? I think the white border would look good on your flag. Thanks for sharing.